With a fleet of Ro-Ro, Ro-Pax, container vessels and logistics routes across Europe, DFDS provides access for the project cargo industry to one of Europe’s most comprehensive freight shipping and logistics networks. Cargo with extreme dimensions requires tailor-made transport solutions and it’s beneficial when this is done as far as possible by one operator which organises the transport from A to B. The majority of DFDS ports offer multiple destinations, making it easy for cargo to have ‘connecting departures’ and to be moved from one route to another. From sea to road, delivery made easy for your heavy cargo. Our dedicated and experienced employees leave no room for error. We ensure professional terminal handling, storage and transportation of small, medium and large project cargo and break bulk cargo. Taking advantage of the network, knowing our partners and offering the best alternative are the three main reasons for letting DFDS move the unmovable. We can offer one transport package and take a heavy weight off your shoulders. Asset-based 3PL and 4PL solutions. 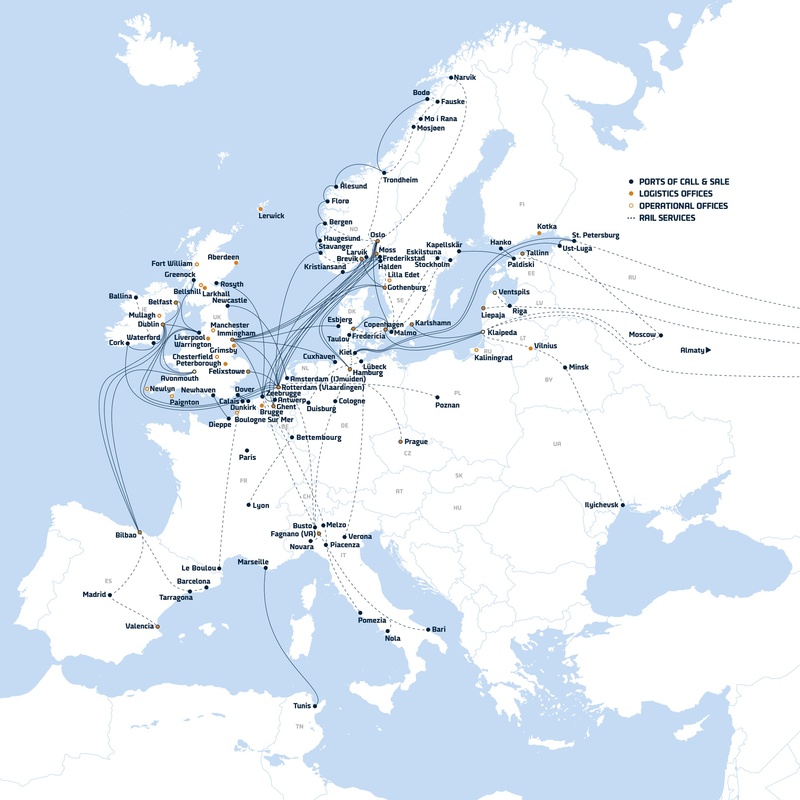 Comprehensive Northern European shipping and terminal network. Barge and rail connected terminals with ideal position to serve all relevant areas in Northern Europe. A modern fleet of vessels consisting of Ro-Ro, sideport and container vessels. Innovative mega cassette and equipment solutions, optimizing payload and cargo care. Lifting equipment and storage facilities for project cargo.